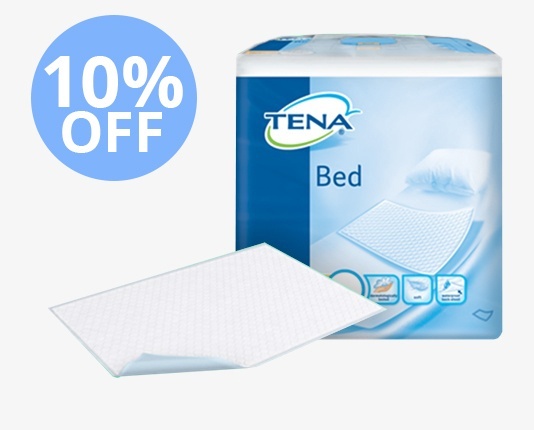 TENA Bed are convenient disposable absorbent bed pads, for use either as direct bed, furniture or wheelchair protection. Designed with unique frames that create Secure Zone technology to prevent leakage. With absorbent properties for enhanced protection.